We Have Redesigned the Public MarketPlace! The new MarketPlace is in the same place, and looks almost the same, but it’s now easier to use than ever! Create a new appliance file following the syntax explained in the README.md file. Feel free to take a look at other examples in the repo. 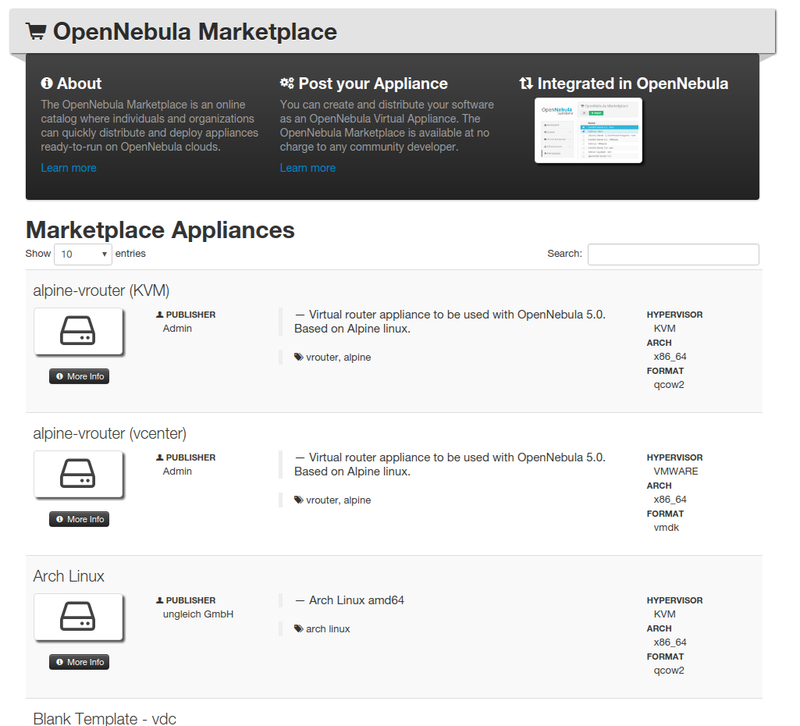 So if you want to contribute a new appliance, you can start by following this guide to enable OpenNebula compatibility, and then you can submit it the new MarketPlace! https://opennebula.org/wp-content/uploads/2018/11/opennebula_cloud_logo_white_bg-4.png 0 0 Jaime Melis https://opennebula.org/wp-content/uploads/2018/11/opennebula_cloud_logo_white_bg-4.png Jaime Melis2016-12-22 10:07:542016-12-22 10:07:54We Have Redesigned the Public MarketPlace!